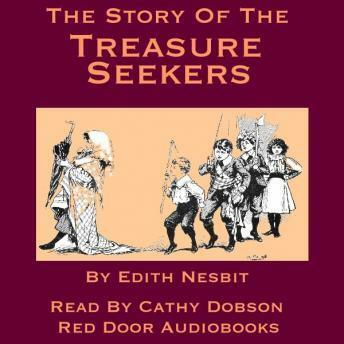 First published in 1899, The Story of the Treasure Seekers tells the tale of the Bastable children, Dora, Oswald, Dickie, Noel, Alice, and H.O. (short for Horace Octavius) and their attempts to restore the fallen fortunes of their family. They devise a series of plans to find or make money, varying from digging for treasure to being bandits, from going into business to rescuing rich elderly gentlemen from deadly peril. Their schemes have varying degrees of success, but the real treasure turns out to come from a very different source than they imagined. Edith Nesbit's story has delighted generations of children and their parents - and will continue to entertain future generations to come.